The cleanup of the financial system was actually initiated by the previous governor, Raghuram Rajan, when he started the Asset Quality Review (AQR) of banks in July 2015, which forced banks to stop ever greening loans and owe up to their bad loans. The Reserve Bank of India governor and the Indian government, especially the finance ministry, have often got into tiffs -and sometimes waged prolonged cold wars - over interest rates and matters such as rupee stabilisation. Typically, finance ministers like low interest rates if private investment is sluggish and they want more industrialists to apply for loans. Reserve Bank of India governors tend to think this is a short-sighted approach when they take decisions to revise interest rates. (Finance ministers would ideally like common depositors to get high interest rates, while industrial borrowers to enjoy low interest rates but since that is not possible, they would rather have low interest rates, especially during economic slowdowns). The current battle between the central bank and the finance ministry (or the government) is different though. It is focused on the overall financial system - with the central bank governor determined to clean it up once and for all, and the finance minister trying to prevent more bad news from coming in and preventing a collapse. 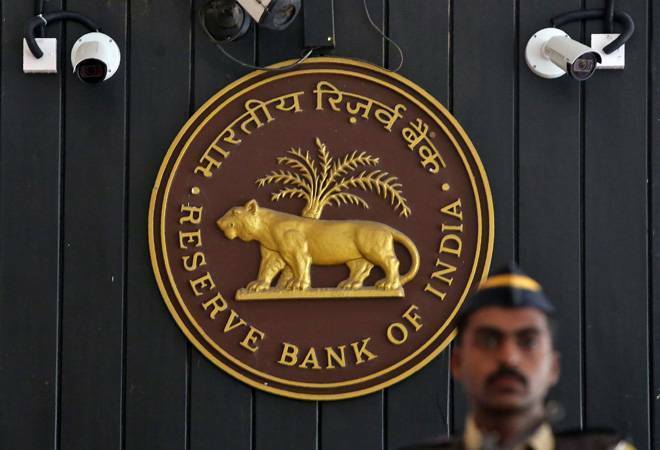 This can be seen in a number of steps the two have taken on a number of issues, though there seems to be some sign that the RBI is finally seeing the worries of the government. The cleanup of the financial system was actually initiated by the previous governor, Raghuram Rajan, when he started the Asset Quality Review (AQR) of banks in July 2015, which forced banks to stop ever greening loans and owe up to their bad loans. Raghuram Rajan though initially tried to use a softer approach to fixing the bad loan problems, using measures such as Strategic Debt Resolution (SDR) and Sustainable Structuring of Stressed Assets (S4A), neither of which actually helped much. After Urjit Patel took over as the governor, it seemed that the RBI and the government were in perfect sync as far as bad loans were concerned. The government enacted the Insolvency and Bankruptcy Code (IBC), and then fine tuned it, while the RBI forced the reluctant banks to the biggest defaulters to the National Companies Law Tribunal (NCLT) under the IBC. And to top it all, it decided to discontinue the other schemes like SDR and S4A, and took other measures including making it mandatory for banks to take bad assets to the NCLT if they could not resolve it in a fixed time. The problems though started because once the IBC cases started, the government soon realised that one, the banks would need to take hefty haircuts in most cases and write off a good part of their dues, and two, the economy itself was not picking up as quickly as it would wish. The relations between finance ministry and government also strained when the blame game happened over the Nirva Modi case. RBI Governor Urjit Patel asked for more powers to regulate PSBs. The government was quick to react that RBI has enough powers. At that time many questioned the RBI for not using its power where it has (private and other banks). Meanwhile, the RBI was cracking the whip on all banks to make sure the Augean Stables of the financial system were cleaned up once and for all. Given its limited powers on public sector banks it decided to turn its attention to those where it actually had enough power. This saw it forcing three storied private sector banks - ICICI Bank, Axis Bank and Yes Bank - to change CEOs, and coming down on Bandhan Bank for not meeting the banking license norms. The message was clear - there was zero tolerance for NPA divergences (a difference of opinion between the RBI and the bank on the quantum of bad loans recognized). It also disallowed Uday Kotak to use perpetual cumulative preference shares as a tool to dilute the promoter stake as per the central bank regulations. Urjit Patel was essentially sending out the message that it did not matter how famous the private sector bank was or how influential its CEO was - there was no room for error. Its plans to tighten the norms for the NBFCs must be seen in this context. The government's worries, meanwhile, have risen as the economic news has turned bad. With the IL&FS defaults and the absence of cheap money threatening to derail NBFCs, the last thing the government wants is any bad news triggering a sell off that could threaten the banking system. That is why it has stepped up swiftly to take over IL&FS, using LIC to pump in more funds, while SBI is going to pick up some stressed portfolios from NBFCs in a bid to bring some stability to the system. While the RBI probably does not like this, it is grudgingly seeing the point of slowly easing off some pressure. Its recent move to inject additional liquidity into the system is meant to help the financial system from going into a tail spin.